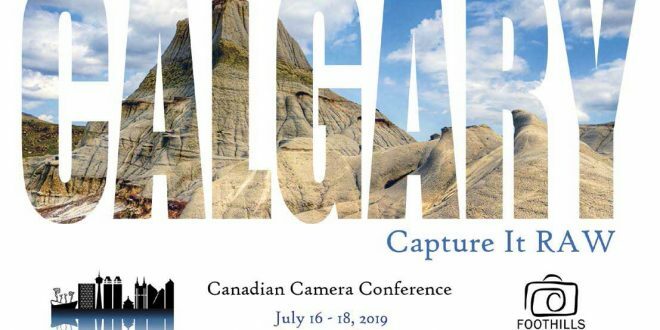 After 20 years the Canadian Camera Conference, CCC2019, returns to Calgary. Alberta. Held every 2 years, CCC is the national conference of CAPA, the Canadian Association for Photographic Art. Once again Foothills Camera Club has stepped up to host the conference. FCC has been in the Calgary photographic community since 1953 and is looking forward to showcasing Calgary and Alberta for our attendees. Early Bird Discount of $50 ends on January 31, 2019. Early Bird prize to be drawn for 1 Free Registration if you are signed up by January 31, 2019. This is a $375 value. Go to our website to sign up and read all about this special conference. Sign up soon.